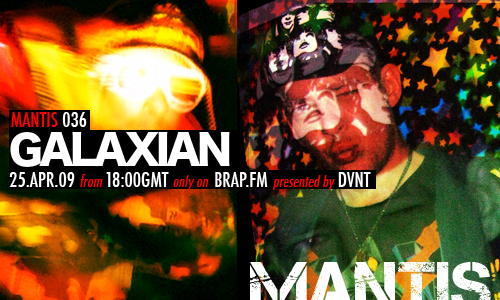 Glasgow’s Galaxian steps up to the session hot seat this week with a fast paced electro rinse. In our first hour hear music from the likes of Way Out West, Black Smith Craft, Distance, Dominik Eulberg, Archae & Grovskopa and more. Galaxian has been making music on and off for roughly 12 years. Within the last year and a half he has been producing electro style beats and during that time has knocked up a few releases on a number of different labels. His influences come more from techno and IDM styles than your more traditional electro. This results in his electro having a different flavour from what you’ve come to expect in that style. He is constantly striving to being new ideas and sounds to his productions whilst maintaining that strong sense of danceability. It’s also got to always be fresh and funky he says. 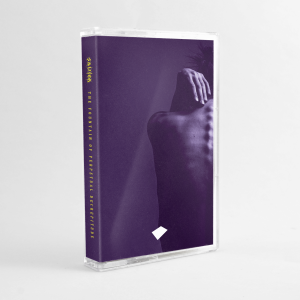 His showcase for Mantis Radio combines some 221 layers/tracks of sound with him estimating 75% of the set being made exclusively for us at Mantis Radio. Of which we’re honoured. With forthcoming releases on Z-Bop and Solar One Music and more, this producer’s music is something you need in your life.